It’s Time For a Cleanse!!! It’s all over the media. Detox waters. These are cleansing drinks designed to rid your body of fat and harmful toxins. If you’re like me, cleanses are scary. They evoke images of emergency trips to the bathroom that could involve cramps and diarrhea. I know it’s gross, but we’ve all been there. In desperation, we’ve all picked up that bottle of diet tea or a 3-day cleanse drink in the hope of dropping pounds fast. These harsh cleanses often lead to negative and potentially embarrassing situations. Have you ever thought about making your own cleanse at home? It’s cheaper. The ingredients are fresh and you can control the potency. I have a great all natural cleanse that I make. For around five bucks you can sip on this drink and gently flush the toxins from your system which leads to more energy and quicker weight loss results. For my recipe, you’ll need these ingredients. Mint is great for digestion. It helps make this cleanse gentle by preventing muscle cramps. Lemon and/or Lime are excellent for burning fat and regulating digestion. Cucumber helps cleanse the liver and kidneys. Grapefruit and / or tangerines are great cleansing agents which also help build your immune system. And of course, you need water. 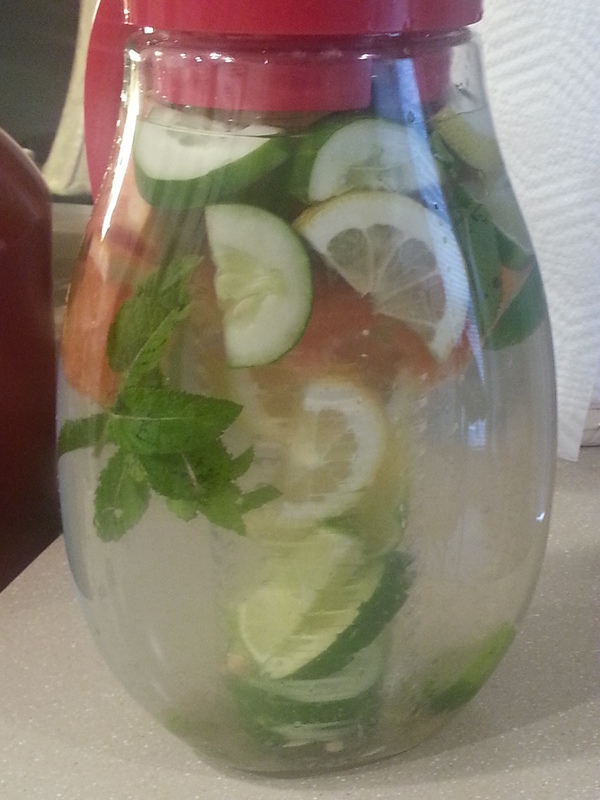 I put a good mixture of the ingredients in an infuser and fill the pitcher about half full of water. Now, here’s where you decide how strong you want your detox drink. 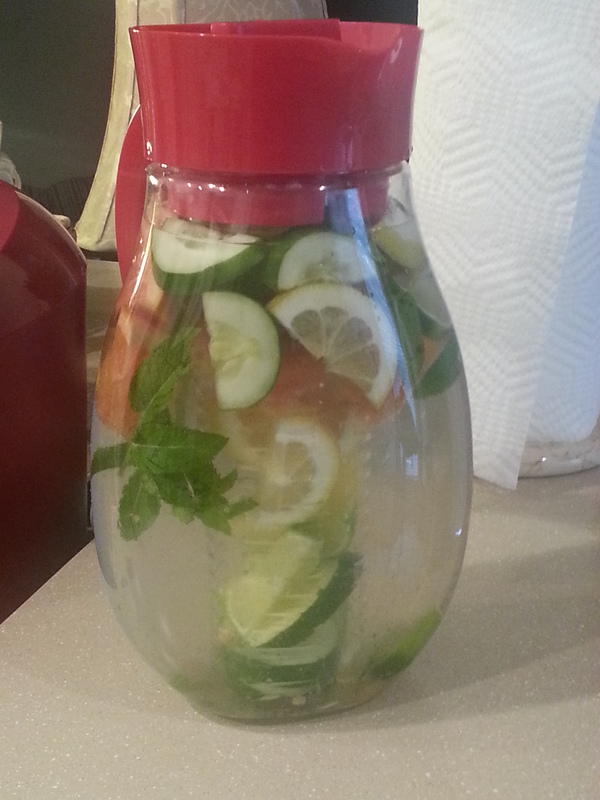 I add the remaining ingredients outside the infuser so they float in the water. Not only does this make the pitcher look pretty and refreshing, but it also builds the potency of the drink. I usually make this on a Friday when I know I’m going to be home for most of the weekend. Add more water as you drink. 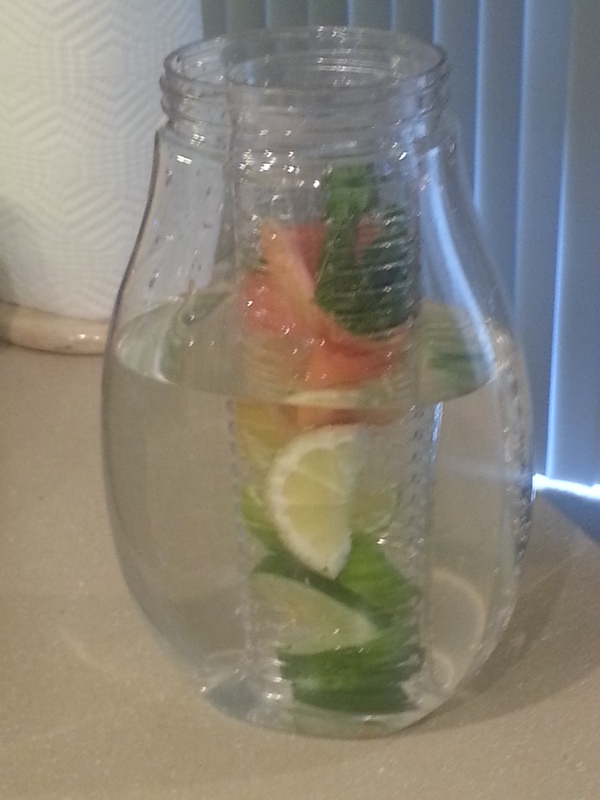 The fruit will also infuse the additional water. The pitcher I made is relatively strong, so I suggest starting with eight to twelve ounces to gauge the affect it will have on your system. 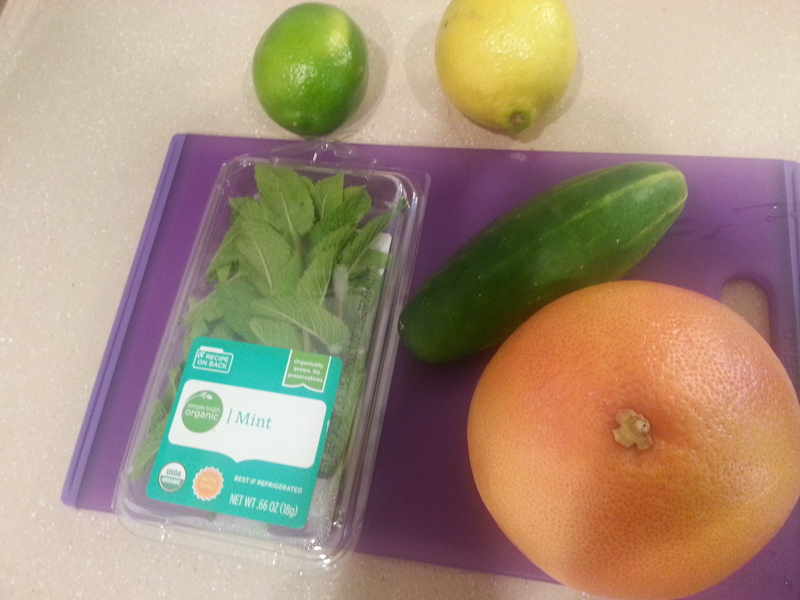 After the weekend, I remove some of the ingredients to make the cleanse less potent and add more water. I operate off this mixture of fruit for about two weeks. It ends up being a refreshing drink that gently cleanses my system. My recipe is a modification of Dr. Oz’s Detox drink. Here are some YouTube links with good recipes as well. If you try this detox drink, please let me know how it works for you. Previous Post What’s Your Favorite Flava?